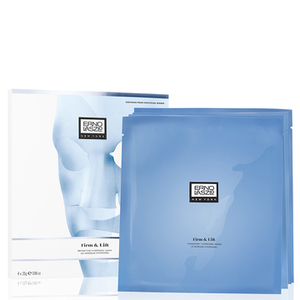 Boost sagging and dehydrated skin with the Erno Laszlo Firmarine Hydrogel Mask. 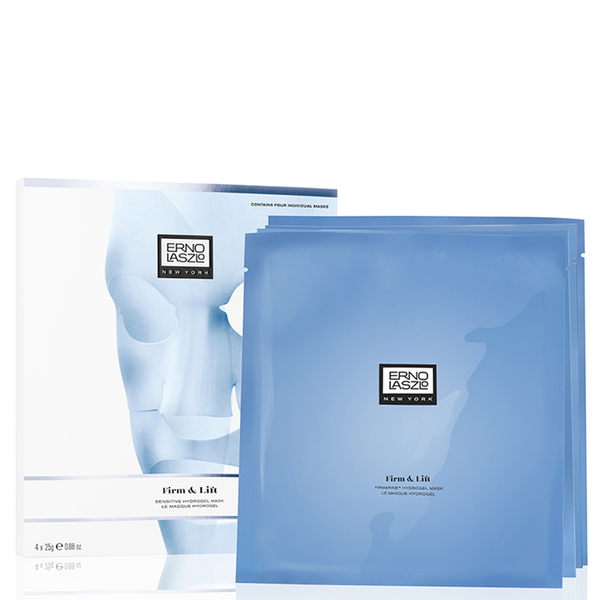 Super lightweight with a gel-like texture, the mask moulds to your face and penetrates deep into the epidermis to nourish and moisturise whilst enhancing natural contours. Enriched with concentrated botanical extracts and essential oils, it works to firm and tone whilst enhancing skin elasticity. Argan Oil seals in moisture and acts as a natural detoxifer, whilst Grapefruit Extract plumps and rejuvenates, helping to fill in the appearance of fine lines. Suitable for all skin types, the advanced anti-ageing face mask leaves skin looking revitalised, smooth and supple. Free from Phthalates, Parabens, Petrolatum and Sulphates. Water (Aqua/Eau), Butylene Glycol, Glycerin, Paraffinum Liquidum (Mineral Oil/Huile Minerale), Chondrus Crispus Powder, Ceratonia Siliqua (Carob) Gum, Argania Spinosa Kernel Oil, Citrus Paradisi (Grapefruit) Fruit Extract, Hydrolyzed Collagen, Algae Extract, Laminaria Japonica Extract, Gelidium Cartilagineum Extract, Salicornia Herbacea Extract, Sodium Hyaluronate, Phytosphingosine, Sodium Polyacrylate, Hydrogenated Polydecene, Trideceth-6, Disodium EDTA, Polysorbate 20, Parfum (Fragrance), Phenoxyethanol, CI 42090 (Blue 1).